SUPERMAN III: "Superman III is a dud. The movie has a few decent moments, but these are heavily outweighed by lame comedy and unexciting action. A 2011 Blu-ray package called “Superman: The Motion Picture Anthology 1978-2006” gives us a chance to revisit the character’s theatrical trek. 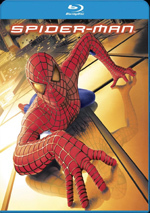 Its first seven discs cover the films themselves, while an eighth disc provides bonus materials. For full information on the individual movies, please consult my separate reviews of 1978’s Superman: The Movie, 1981’s Superman II, 1983’s Superman III, 1987’s Superman IV: The Quest for Peace, and 2006’s Superman II: The Richard Donner Cut and Superman Returns. Please note that the picture and sound grades found at the top of this article represent an average for the three movies. Please check out the full reviews to get the details. Though this article covers the boxed set as a whole, I want to concentrate mainly on the package’s eighth disc. Called simply “Bonus Disc”, this platter includes a wealth of Superman information. Narrated by Kevin Spacey, Look, Up In the Sky! The Amazing Story of Superman runs one hour, 50 minutes and 30 seconds. It features comments from directors Bryan Singer and Richard Donner, authors/historians Gary H. Grossman and Gerard Jones, Imagimovie expert Forrest J. Ackerman, comic book writers Gail Simone and Elliot S! Maggin, comic book writer/historian Mark Waid, musician/fan Gene Simmons, comic book legend Stan Lee, comic book dealer Stephen Fishler, collector Philip Hecht, DC Comics president/publisher Paul Levitz, comic book writer Dennis O’Neil, producers Ilya Salkind, Peter Guber and Norman Twain, screenwriters Tom Mankiewicz, Michael Dougherty and Dan Harris, Christopher Reeve’s mother Barbara Johnson, DC Comics Senior Group Editor Mike Carlin, comic book artist Art Thibert, Smallville creators Alfred Gough and Miles Millar, DC Universe Senior VP/Executive Editor Dan DiDio, executive producers Chris Lee and Thomas Tull, and actors Dean Cain, Brandon Routh, Annette O’Toole, Margot Kidder, Mark Hamill, Chuck McCann, Noel Neill, Jack Larson, Bill Mumy, Adam West, Lesley Ann Warren, Jackie Cooper, Gerard Christopher, and Kate Bosworth. “Look” opens with the origins of the character and franchise in the 1930s and gives us info about its creators and development. From there we trace Superman’s path over the years. This includes changes in the comic book series over the decades as well as aspects of his expansion into radio, movies and TV. “Look” offers an ambitious take on the topic, and it’s a good one. I admit I’d prefer more about the evolution of the comics over the decades, as “Look” tends toward Superman in other media more than his roots. Still, the program delivers a very nice overview and puts Superman in perspective well. Another extended documentary comes to us with the one-hour, 29-minute and 24-second You Will Believe: The Cinematic Saga of Superman. In this one, we hear from Donner, Levitz, Cooper, Kidder, Mankiewicz, O’Toole, Salkind, Guber, Batman screenwriter Sam Hamm, writer/producer Bob Gale, Warner Bros, President of Production (1969-1980) John Calley, composers Ken Thorne and John Williams, screenwriters Leslie Newman, Mark Rosenthal and Robert Benton, producer Pierre Spengler, former DC Comics publisher/editor-in-chief Jenette Kahn, casting director Lynn Stalmaster, personal trainer David Prowse, editor Stuart Baird, Batman Begins producer Michael E. Uslan, WB Executive-in-Charge of Production Paul Hitchcock, assistant director Roy Button, camera operator Peter MacDonald, art director Norman Reynolds, set decorator Peter Young, stunt coordinator Vic Armstrong, Zoptic special effects developer Zoran Perisic, special makeup effects designer Stuart Freeborn, production designer Peter Murton, director of photography Robert Paynter, director Jeannot Szwarc, supervising art director Terry Ackland-Snow, producers Menahem Golan and Yoram Globus, and actors Terence Stamp, Susannah York, Jeff East, Jack O’Halloran, Sarah Douglas, Marc McClure, and Helen Slater. 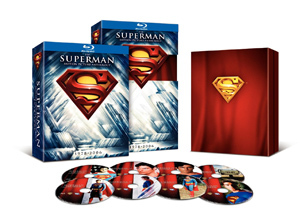 The program traces the development and shooting of the four Christopher Reeve Superman flicks, with a strong emphasis on the first one; it fills the show’s first 57 minutes, while SII gets 13 minutes, and the documentary dispenses with SIII, Supergirl and SIV across a mere 13 minutes. It should surprise no one that the first flick takes up so much of the show, but it’s still a bit of a disappointment. Though this information is interesting, it can be redundant, as this package’s other materials dig into the first movie in detail. The subsequent flicks get less attention, so there’s more room for fresh details; it’s too bad “Believe” doesn’t dig into these. Nonetheless, when you take “Believe” on its own merits, it’s quite good. 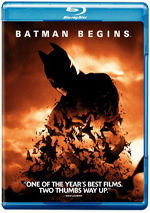 It delivers a solid overview of the series and doesn’t shy away from the controversies that affected the franchise. These tend toward a pro-Donner bent – it’s hard not to feel bad for Richard Lester, given all the grief he gets – but that’s not a major problem. While “Believe” can be redundant after the set’s other extras, it’s still a strong documentary. Next comes The Science of Superman. It runs 51 minutes, one second and features remarks from Waid, O’Neil, Singer, Routh, Gough, Millar, Maggin, Dougherty, Harris, Mankiewicz, Science of Superman author Mark Wolverton, UC Irvine Professor of Physics Michael Dennin, actor/comic book fan Hal Sparks, propulsion engineer Todd Barber, Smallville visual effects producer/supervisor Mat Beck, Chapman University Professor of Biological Sciences Frank Frisch, and visual effects supervisor Mark Stetson. As indicated by the title, this show discusses the real science behind Superman’s powers. This becomes a nerdy but fun take on how Superman could do what he does. Of course, the real explanation for his powers is just “because that’s what the writers say he can do”, but it’s enjoyable to get thoughts about potential real-world explanations for Superman’s abilities. Two featurettes follow. The Mythology of Superman goes for 19 minutes, 34 seconds and offers info from Levitz, Gale, DiDio, O’Neil, Once and Future Myths author Phil Cousineau, author/film critic Kim Newman, Superman writers Marv Wolfman and Roger Stern, Superheroes and Philosophy editors Matt and Tom Morris, From Chivalry to Terrorism aithor Leo Braudy, author/comic book historian Mark Cotta Vaz, DC Comics Senior Group Editor Mike Carlin, and The Myth of the American Superhero author John Lawrence. The program ties Superman into various myths and legends and places it among them. His isn’t quite as interesting as it sounds, but it still has some good insights. The Heart of a Hero: A Tribute to Christopher Reeve lasts 18 minutes and delivers notes from Donner, Williams, Larson, Kidder, McClure, Stalmaster, Gough, Millar, Christopher Reeve Foundation co-founder Michael Manganiello, Juilliard professor Marian Seldes, comic book artist Alex Ross, Christopher Reeve Foundation director Kathy Lewis, biopic subject Brooke Ellison, and actor Jane Seymour. We get a look at Reeve’s acting career as well as his life after the injury that left him a quadriplegic. This is all about what we would expect, as it gives a warm take on Reeve. Finally, we get The Adventures of Superpup. This 21-minute, 34-second program shows a pilot shot in 1958 – a really bizarre pilot, in fact. It reworked the sets from the George Reeves TV series but used puppets and small actors in cartoony masks to act out Superman as animals. It’s genuinely awful, but it’s perversely amusing to see as a curiosity. As a film franchise, the Superman series comes with a load of ups and downs. The first two movies work well, flicks three and four stink, and the 2006 reboot falls somewhere in between, as a competent but disappointing adventure. An alternate cut of Superman II is fun, though mostly appealing to big fans who’ll like to see something different than the 1981 theatrical version. 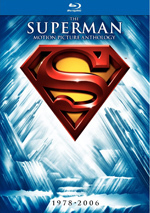 Across the board, “Superman: The Motion Picture Anthology 1978-2006” treats the films well in terms of picture and audio, with only a few minor missteps along the way. The total package comes with a strong set of supplements capped by the goodies on this “Bonus Disc”. The inconsistent quality of the films makes it tough to give the package a hearty endorsement, but I think it’s a good set for Superman fans.